As a company, our business philosophy is offering the best possible service to the best of our ability. 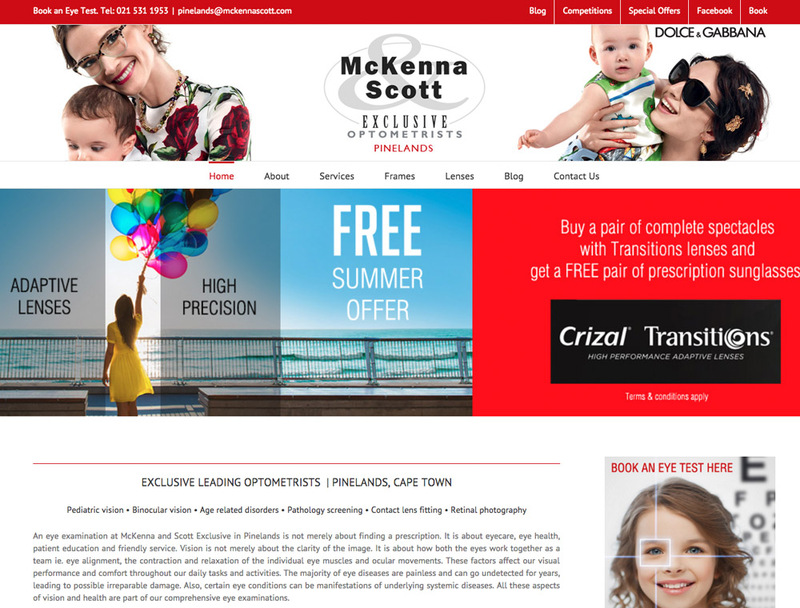 Great pride is taken in giving every patient the best possible care, advice and also recommending products to suit their daily lifestyle and optical needs, so that they can function to the best of their ability. We are passionate about eye care. We treat every patient on a holistic basis, giving advice on their general health, apart from ocular. To provide patients the best possible care, we use the very latest technology. This includes a Fundus camera which enables Digital photography of the retina. We use only the best lenses in the world. These are sourced from Zeiss and Essilor. Being one of the largest practices in Cape Town, we stock all the latest fashion and designer eyewear, including sports specific ranges. Please view our fames and sunglasses ranges. Only fully qualified staff are employed, including dispensing opticians.